I made this scarf in one day. I used the last of this yarn on it. It’s more of an infant/toddler size scarf. 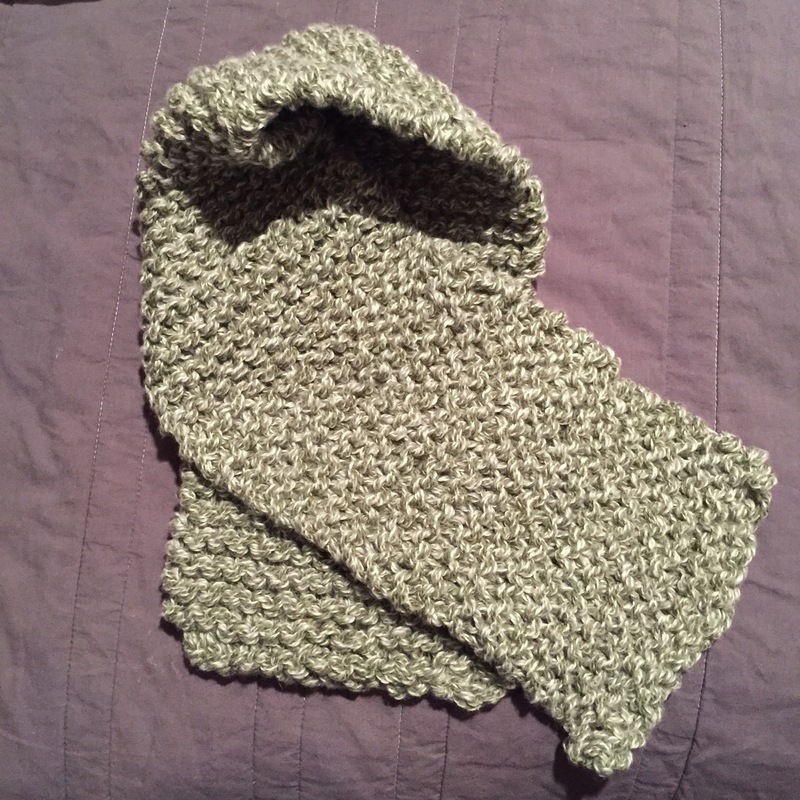 It is a basic garter stitch using size 15 needles and two worsted weight yarn strands. It’s 30 inches long. It feels cuddly. 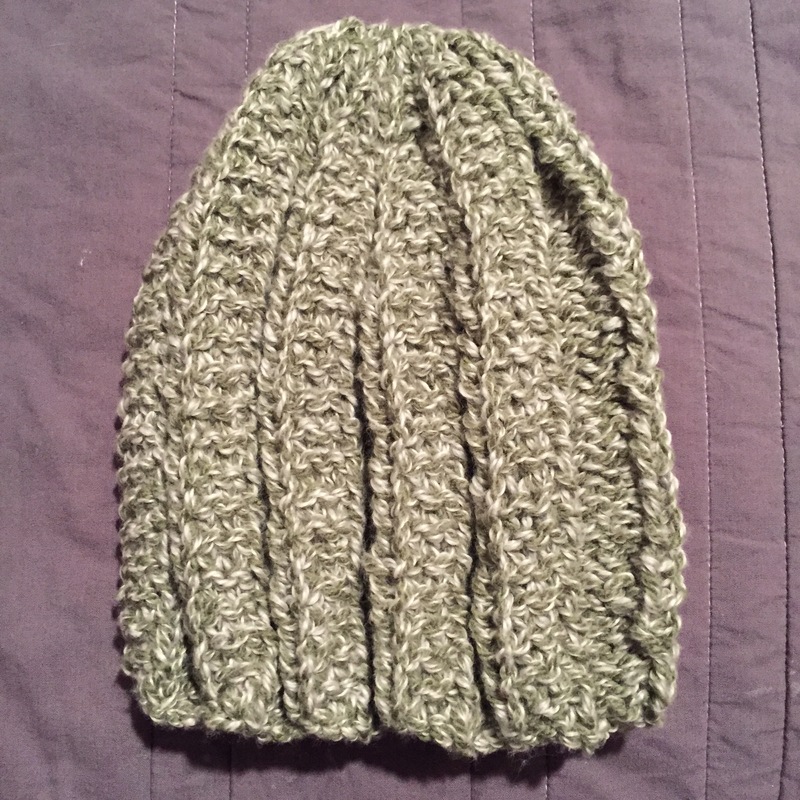 I knit this hat last month sometime, I don’t think I ever posted it because it wasn’t with the rest of my finished knits. It’s an adult size hat.